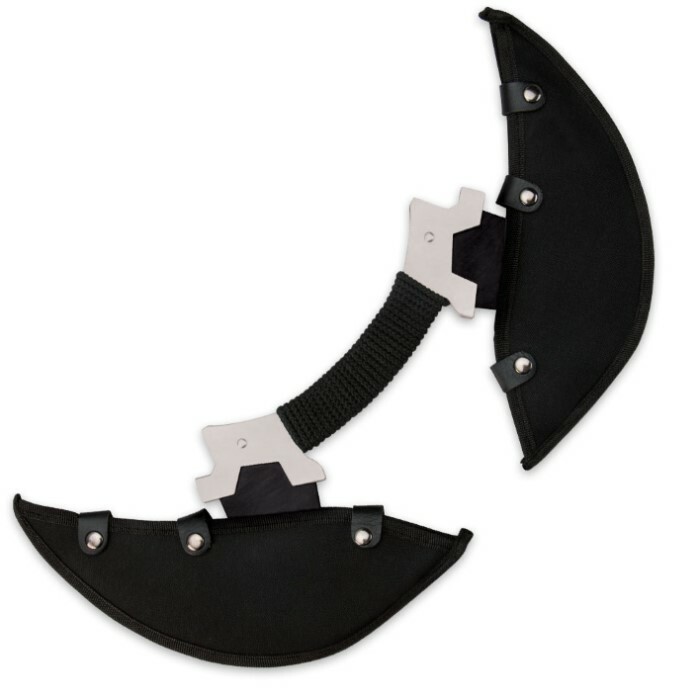 When we saw League of Legends, it inspired us to present this double-headed axe. 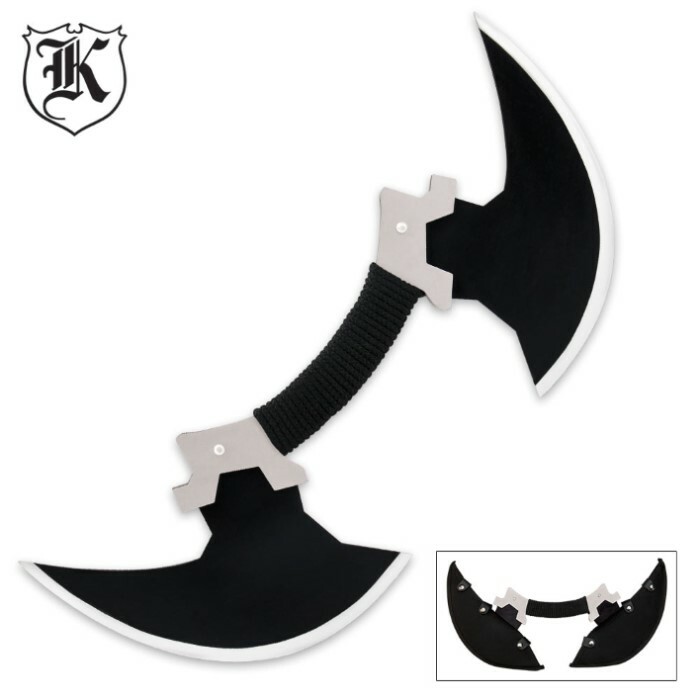 The Draven Axe is an amazing reproduction of the axe carried by Draven the Glorious Executioner. 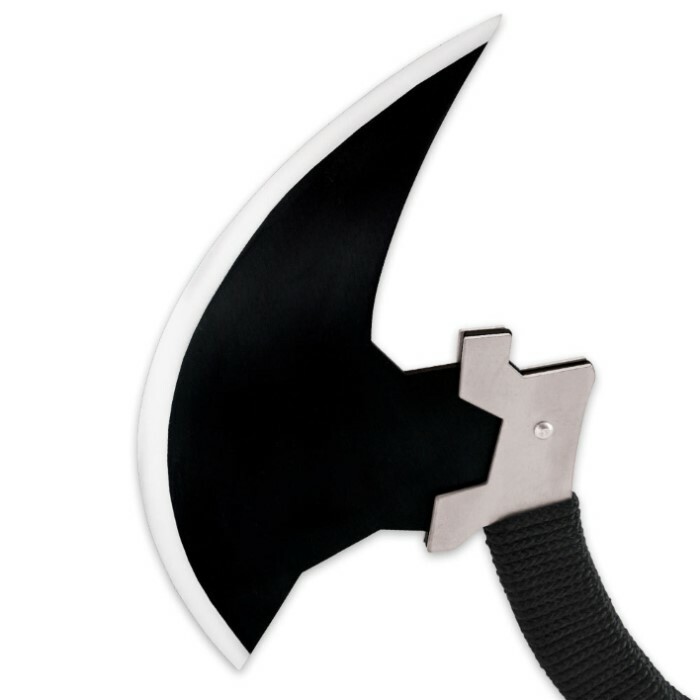 The double-headed axe is black plated carbon steel and the nylon rope-wrapped handle completes the look. A black nylon sheath is included. .
Large and sturdy, sharpened fairly well. Easily worth the purchase. Arrived today. Regular shopper at Bud K. This thing has some weight , came sharp (I made it sharper) . Always a bit abusive with new items because I want to know they are gonna do what I need them to do when I need it. It passed all tests with flying colors. None of the metal parts came loose , held its edge. I will rewrap the handle and make a leather sheath for the blades. This is one of Bud K's better twenty dollar deals. Its intimidating , looks great on the wall and just damn fun.